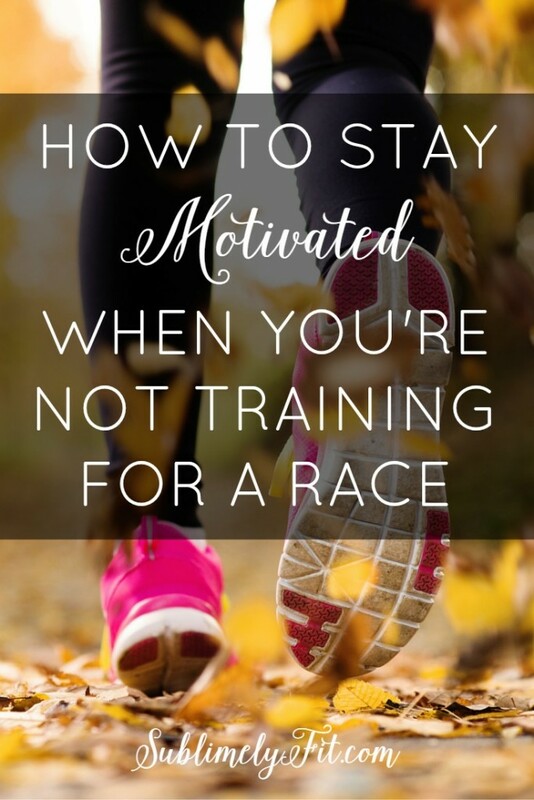 Staying motivated while training for a race can be tough. You know the race is coming up, so you feel the pressure to train so you’re ready, but things can come up, staying in bed can seem more enticing. What’s even more difficult is staying motivated when you’re done racing for the year, or maybe you just don’t have the desire or money to sign up for a race. How do you stay motivated when you don’t have an impending race to propel you. I used to run multiple half marathons a year, and for several years I’d train for at least one marathon, too. All of that racing was affecting my sanity and my checking account, so I decided to cut way back this year. 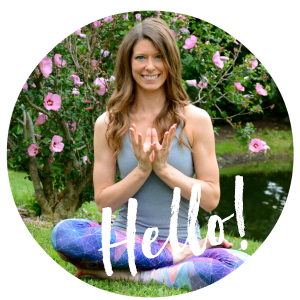 At times it’s been a struggle to get out the door when I don’t see a race on my calendar, so I wanted to share some of the tricks I’ve used to stay motivated even when I’m not training for a race. Run for fun. This is probably the best thing I’ve done in the past few years for my running. I got so stressed out about hitting certain paces during my runs to make sure I was on track to hit my goal race time. It made me completely miserable. So, I took a step back and started focusing on really, truly enjoying each run. I took the time to appreciate the beautiful scenery around me, to watch the seasons change. Concentrating on loving every run made running so much more enjoyable, which helped me want to go out and run more. Don’t think about it, just go. One of the reasons I like to run in the morning is that I can pop out of bed and get on the road as soon as possible, without taking time to talk myself out of going. If I wait until late afternoon to run, I have a much bigger chance of deciding that I’d rather do more important things like nap. Once it becomes habit, it’s much easier to stick with a running routine. Find someone to help keep you accountable. Find a friend, enlist your significant other, or find some friends on social media. Even if you don’t have a running buddy, finding someone to help keep you accountable can really help. This is one reason why hiring a running coach over following a free plan can be a huge help. Or, you could try finding a running group to join. Search for local running clubs or ask if your local running specialty store offers free group runs. This is especially true if you’re an extrovert and love being around groups—looking forward to chatting with friends on a run might be just what you need to get out the door. What gets you out the door when you’re not racing? Womp womp. 🙁 Behave, SuzBody! Thanks for this post! This year I ran #alltheraces but next year I will not. It’s nice to have tips on how to stay motivated when not racing because its a hard thing to do! My motivation is mental sanity. I have such a stressful job and I’m raising 2 teenage boys…running really is where I work it all out! I do some of my clearest thinking and my best mental sorting when I run. It really does help you work out all of your thoughts! Training for races is definitely what’s been keeping me motivated this Summer and will be needed over the Winter too. 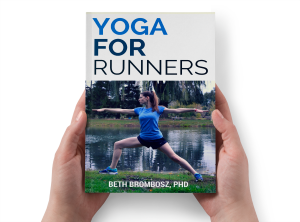 But after the Rock and Roll DC half in March, I hope to have at least a couple months where I’m not training for anything to try to just enjoy running 🙂 It is hard to motivate myself without an upcoming race though so these tips are really useful. And taking a break before training for spring races is such a great idea. If you just keep training for race after race without taking a few weeks or even a couple months off, you’re so much more likely to burn out, and/or overtrain. Better to give your body a bit of a rest. Sounds like you’re being very smart about your training! Running without a race is hard! Well I should say running any long distance is hard. I enjoy shorter runs but going out fo a 2 hour run if I don’t have to, well it just doesn’t happen. Ha, right there with ya! I think an hour is the most I can muster lately without a race. Hard to commit several hours out of your day if you’re not training for a race! Having a friend hold me accountable is the best way to get me up in the morning. I know that she will be up and heading to the gym around the same time and we always text eachother so if the text comes through and no one answers we can give the other one a guilt trip about not hitting their run. It sounds mean but it is so helpful on the days that the motivation is lacking. I completely agree, Kristin! It’s so much easier to skip a workout when you don’t have someone else expecting you to be there. The buddy system definitely works! I had this problem after my first half. Basically I’ve just learned to listen to my body. Now, for instance, after 3 halves this year (2 of which I didn’t train for), my body has had enough of running. We are on a little hiatus, but whenever it wants to hit the pavement again, I’m all for it. And this is a great way to avoid burning out, too. If you push too hard when your body and mind aren’t into it, you’ll start to hate running, or whatever activity it is you’re doing. Much better to focus on doing what you love!